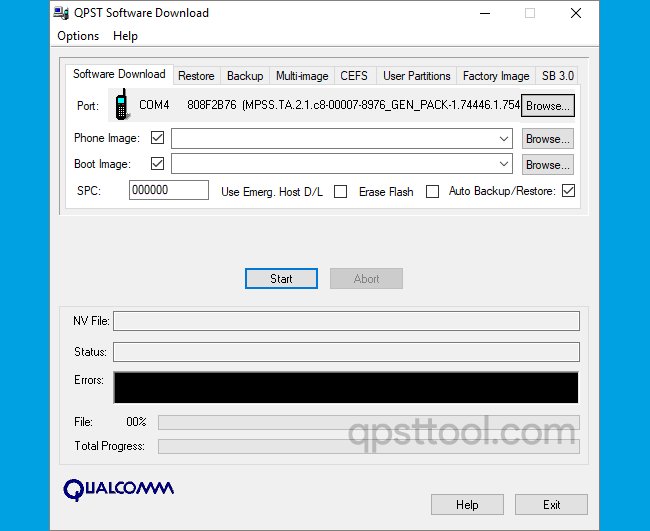 QPST Tool v2.7.104 is a small installable application for Windows Computer, which allows you to flash or write the stock firmware on Qualcomm powered Smartphone and tablets. Here, we have managed to share the original and tested version of QPST Flash Tool i.e QPST Tool v2.7.104. [*] How to use QPST Tool: If you want to learn to operate QFPST Flash Tool to flash the Stock Firmware then head over to the How to use QPST Tool page.